Annabelle Lawson has established herself as a pianist and chamber musician who exudes subtlety and vivacity in equal measure. She has performed widely, in venues including the Wigmore Hall, Southbank Centre, Royal Festival Hall, Bridgewater Hall and Kings Place, as well as broadcasting live for BBC Radio 3 and national Australian radio. She is a passionate advocate of both new and obscure repertoire, having commissioned and premiered a large number of works with the Lawson Trio and recently performing Stanford’s little-known 2nd piano concerto, as well as chamber music by Rebecca Clarke and Louis Vierne. Having performed recently as concerto soloist with the Göttingen Symphony Orchestra in Germany, played trios in a French château, worked as a cabaret artist in the Far East, played ‘Carnival of the Animals’ with kangaroo impersonating dancers from Ballet Rambert and, last but not least, worn an Octopus Hat on stage for Wigmore Learning – her career is notable for its variety and versatility. She enjoys a distinguished career as a music educator, teaching piano and chamber music at the Junior Department of the Royal Academy of Music and for Sheffield Music Academy, as well as examining for the ABRSM. She is also the Artistic Director of Chamber Music 2000, for whom she has organised and hosted numerous education workshops and inter-school showcase concerts, in venues including the Purcell Room, Menuhin Hall and Howard Assembly Rooms. Annabelle also ran a busy 2015/16 concert series for the West Essex branch of the hugely successful Bach to Baby enterprise. This involved organising, hosting and performing in four concerts a month, aimed at babies, toddlers and their families. Annabelle studied piano as a child at Chetham’s School of Music, before reading music at King’s College, Cambridge. After completing her BA she undertook a one-year BMus, for which she gained a Distinction, during which time she researched the social role of the Argentine tango in Paris in the years preceding World War One. 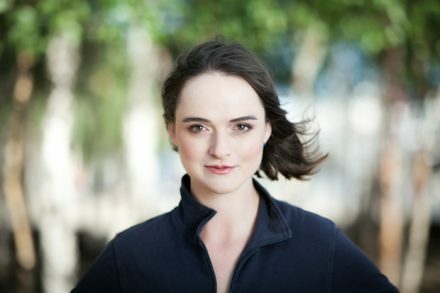 She then pursued postgraduate tuition in chamber music at the Royal Academy of Music, who went on to award her piano trio a two-year Junior Leverhulme Chamber Music Fellowship. Annabelle’s teachers have included her father, Peter Lawson, Ronan O’Hora and Philip Fowke.